This is the sixth in a series of articles addressing the top 10 operational impacts of the GDPR. As part of its effort to expand individual control over the use of personal data, the GDPR introduces two new rights. First, the regulation codifies a right to be forgotten, following on the recognition of a similar right by a 2014 case from the European Court of Justice. This right allows individuals to request the deletion of personal data, and, where the controller has publicized the data, to require other controllers to also comply with the request. Second, the right to data portability requires controllers to provide personal data to the data subject in a commonly used format and to transfer that data to another controller if the data subject so requests. In a significant departure from Directive 95/46/ec, the GDPR recognizes a “right to erasure.” This right builds on and expands the so-called “right to be forgotten” recognized by the European Court of Justice in its Google Spain v. AEPD and Mario Costeja González ruling in 2014. There, the Court required search engines, upon a person’s request, to remove links to webpages that appear when searching that person’s name unless “the preponderant interest of the general public” in having access to the information justifies the search engine’s refusal to comply with the request. The GDPR for the first time codifies the right and applies it to all controllers. Under Article 17, controllers must erase personal data “without undue delay” if the data is no longer needed, the data subject objects to the processing, or the processing was unlawful. Recital 65 explains that this right is especially relevant when a child consents to processing and later wants to remove the information, even if he is no longer a child. However, the right is not unlimited. It must be balanced against freedom of expression, the public interest in health, scientific and historical research, and the exercise or defense of legal claims. format_quoteThe right to erasure extends additional obligations to any controller that makes personal data public, especially online. The right to erasure extends additional obligations to any controller that makes personal data public, especially online. Where a data subject requests the erasure of data that has been made public, the controller must take “reasonable steps” to inform other controllers that are processing the data about the person’s objection, unless it would require “disproportionate effort.” Any controller processing the data must then erase copies of it or links to it. Whether the steps taken are “reasonable” will depend on the available technology and the cost of implementation. Article 18 establishes a procedure for when there is disagreement over whether the right to erasure applies. The data subject is entitled to seek the “restriction of processing” for the time needed to verify whether information is accurate if she contests its accuracy. The data subject also may request a restriction where the controller no longer needs the data, but the data subject needs it for a legal claim. Finally, he may request a restriction where he has objected to processing but the controller seeks to prove it has compelling legitimate grounds for overriding the objection. When a data subject requests the restriction of processing, the controller should temporarily remove the data from a general filing system or from a public website so as to avoid further processing. Recital 67 specifies that controllers should flag the restricted data in a way that makes clear that processing is restricted. One of the responses of the GDPR to the so-called “Big Data” trend is the creation of a new right to data portability that aims to increase user choice of online services. format_quoteWhere feasible, the controller may even be required to transmit the data directly to a competitor. Where controllers process personal data through “automated means,” Article 20 grants data subjects the right to receive the personal data concerning them. Controllers must provide the data in a commonly used and “machine-readable” format, and data subjects have the right to transmit that data to any other controller. Where feasible, the controller may even be required to transmit the data directly to a competitor. However, Recital 68 specifies that it does not impose an obligation for controllers to adopt processing systems that are technically compatible. The right to data portability applies only when processing was originally based on the user’s consent or on a contract. It does not apply to processing based on a public interest or the controller’s legitimate interests. Under the Directive, controllers had to provide data subjects with certain minimum information before collecting personal data. These disclosures included the identity of the controller, the purposes of processing, and any recipients of personal data. The Directive also provided data subjects with a right of access to data, which required controllers to confirm what data they were processing and the logic involved in any automatic processing operations. If a controller processed information in violation of the Directive, data subjects could block the processing and request the erasure or rectification of the data. Data subjects could also object in narrow circumstances where they could demonstrate compelling legitimate grounds or where the data was used for direct marketing. format_quoteArticle 15 establishes a right of access that is more robust than what was required by the Directive. Article 15 establishes a right of access that is more robust than what was required by the Directive. Users will have a right to request a copy of their personal data undergoing processing. They may also request to know the purposes of processing, the period of time for which data will be stored, the identity of any recipients of the data, the logic of automatic data processing, and the consequences of any profiling. Controllers will have to set up processes for responding for access requests and, in particular, for verifying the identity of a data subject who requests access. Recital 63 recognizes, however, that the right of access needs to be balanced against other rights, such as intellectual property, trade secrecy and copyright protections for software. In cases where the controller processes “a large quantity of information” about the data subject, it may require the data subject to specify the information or processing activities at issue in the request. The right to object to processing is significantly expanded under Article 21. Whereas under the Directive, a data subject could only object to processing where she could demonstrate compelling legitimate grounds, the GDPR flips the burden, allowing a data subject to object any time processing is based on public interest (Article 6(1)(e)) or the legitimate interests of the controller (Article 6(1)(f)), unless the controller demonstrates compelling legitimate grounds. This is in addition to the data subject’s right to withdraw consent whenever processing is based on consent. Like the Directive, the GDPR also allows a data subject to object to processing for direct marketing at any time and Article 16 grants the right to correct inaccurate information. In the process of heightening user control over data, these expanded rights will create new challenges for controllers to implement systems that are responsive to user requests concerning their data. To this end, Article 12 requires controllers to provide “modalities” to facilitate the exercise of data subject rights. These modalities likely will include user interfaces and customer support services. Controllers will face a difficult challenge in trying to authenticate users to process their requests. Article 12 provides that a controller may refuse to act on a request if it “demonstrates that it is not in a position to identify the data subject.” On the other hand, if it has “reasonable doubts” about the identity of the person making a request, it can ask the person for additional information to confirm his or her identity. Recital 57 lends little in the way of clarity: Controllers are not required to take additional information in order to identify the data subject, but they also should not refuse to take such information if the data subject offers it in the exercise of his rights. Controllers will have to be thoughtful in implementing systems that on the one hand minimize the collection of data while on the other hand ensure accurate authentication to avoid abuse. The GDPR requires companies that engage in “regular and systematic monitoring of data subjects on a large scale” to appoint data protection officers with responsibility for overseeing these systems. For these companies, managing access requests and the right to be forgotten likely will be a major focus for their new DPOs. Gabe, this was a very helpful series of posts for me. Thank you very much. 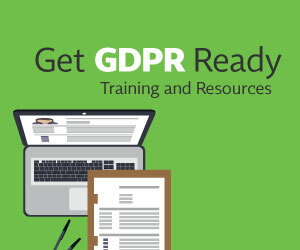 Looking to dive deeper into the General Data Protection Regulation to read the text regarding data subject rights for yourself? Find the full text of the Regulation here in our Resource Center. (59) Modalities should be provided for facilitating the exercise of the data subject’s rights under this Regulation, including mechanisms to request and, if applicable, obtain, free of charge, in particular, access to and rectification or erasure of personal data and the exercise of the right to object. The controller should also provide means for requests to be made electronically, especially where personal data are processed by electronic means. The controller should be obliged to respond to requests from the data subject without undue delay and at the latest within one month and to give reasons where the controller does not intend to comply with any such requests. (66) To strengthen the right to be forgotten in the online environment, the right to erasure should also be extended in such a way that a controller who has made the personal data public should be obliged to inform the controllers which are processing such personal data to erase any links to, or copies or replications of those personal data. In doing so, that controller should take reasonable steps, taking into account available technology and the means available to the controller, including technical measures, to inform the controllers which are processing the personal data of the data subject’s request. (68) To further strengthen the control over his or her own data, where the processing of personal data is carried out by automated means, the data subject should also be allowed to receive personal data concerning him or her which he or she has provided to a controller in a structured, commonly used, machine-readable and interoperable format, and to transmit it to another controller. Data controllers should be encouraged to develop interoperable formats that enable data portability. That right should apply where the data subject provided the personal data on the basis of his or her consent or the processing is necessary for the performance of a contract. It should not apply where processing is based on a legal ground other than consent or contract. By its very nature, that right should not be exercised against controllers processing personal data in the exercise of their public duties. It should therefore not apply where the processing of the personal data is necessary for compliance with a legal obligation to which the controller is subject or for the performance of a task carried out in the public interest or in the exercise of an official authority vested in the controller. The data subject’s right to transmit or receive personal data concerning him or her should not create an obligation for the controllers to adopt or maintain processing systems which are technically compatible. Where, in a certain set of personal data, more than one data subject is concerned, the right to receive the personal data should be without prejudice to the rights and freedoms of other data subjects in accordance with this Regulation. Furthermore, that right should not prejudice the right of the data subject to obtain the erasure of personal data and the limitations of that right as set out in this Regulation and should, in particular, not imply the erasure of personal data concerning the data subject which have been provided by him or her for the performance of a contract to the extent that and for as long as the personal data are necessary for the performance of that contract. Where technically feasible, the data subject should have the right to have the personal data transmitted directly from one controller to another. (69) Where personal data might lawfully be processed because processing is necessary for the performance of a task carried out in the public interest or in the exercise of official authority vested in the controller, or on grounds of the legitimate interests of a controller or a third party, a data subject should, nevertheless, be entitled to object to the processing of any personal data relating to his or her particular situation. It should be for the controller to demonstrate that its compelling legitimate interest overrides the interests or the fundamental rights and freedoms of the data subject.